Blue Ice Droma Loch Droma, Highlands, Scotland. 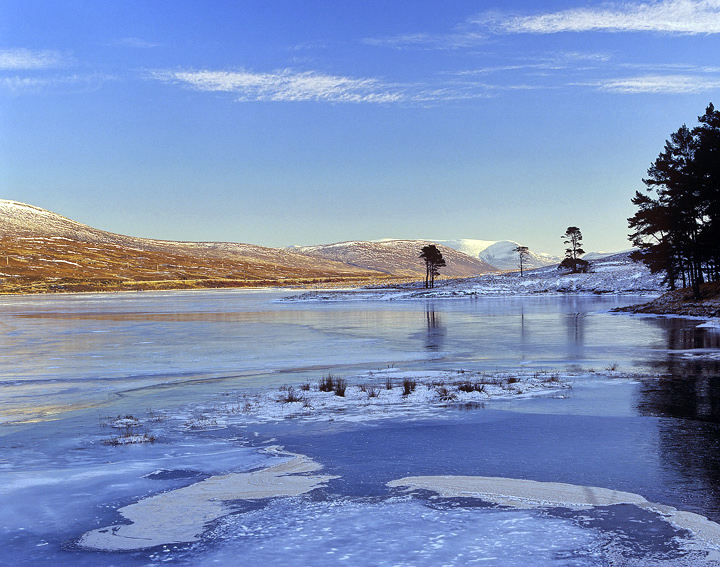 A crisp winters day and a laser blue sky high over a frozen loch reflects onto blue ice. This remote 1000 foot moorland area links the towns of Garve and Ullapool and is on record as being the coldest place in the UK. A sense of scale is offered by a couple of isolated stunted Scots pine trees at the edge of the loch.